Al Morog (D1) landed 27-year old American guard Kenny Brown (188-91, college: Ferris State). 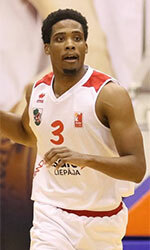 He started the season at Al Wehda in Saudi Arabian SBL league. The most of last summer Brown spent at Fast Break (LPB) in Colombian league where in 14 games he averaged impressive 16.9ppg, 1.9rpg, 2.9apg and 1.2spg. He helped them to win the regular season and make it to the semifinals. 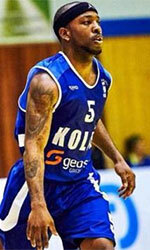 Brown also played for Team DRC in U.S. semi-pro league The Basketball Tournament. Among other achievements he won Iraqi League championship title in 2016. Brown received also Asia-Basket.com All-Iraqi League Co-Guard of the Year award back in 2016. He is a very experienced player. And here thanks to pro basketball Brown experienced life in seven different countries playing on four different continents. He is familiar with European, Asian, Latin American and of course North American leagues. Brown has played previously professionally in Latvia (BK Liepaja), Panama, Turkey (Anadolu Efes), Nicaragua (Sinsa-Tigres), Iraq (Al Hilla, Al Karkh and Al Shurtah), PBL (Lake Michigan) and El Salvador (Aguila). He attended Ferris State until 2013 and it is his sixth season in pro basketball.